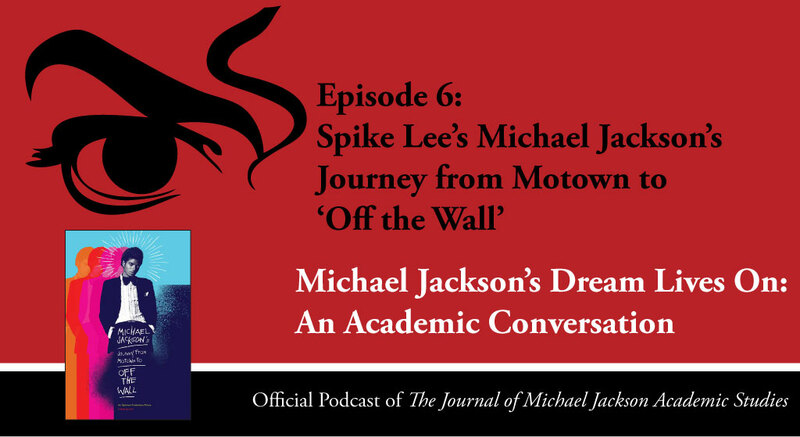 Abstract: In this sixth episode, Elizabeth and Karin discuss the 2016 documentary, Michael Jackson’s Journey from Motown to ‘Off The Wall’, directed by Spike Lee. Their discussion begins with Lee’s body of work, and how it connects with this particular documentary, and go on to explore the use of it as a text for teachers, researchers and academics. Throughout this episode the wonderful solo album, Off the Wall remains a key topic of discussion. Merx, Karin, and Elizabeth Amisu. “Episode 6 – ‘Michael Jackson’s Journey from Motown to ‘Off the Wall”.” Podcast, Michael Jackson’s Dream Lives On: An Academic Conversation 2, no. 2 (2016). Published electronically 7/04/16. http://michaeljacksonstudies.org/episode-6-michael-jacksons-journey-from-motown-to-off-the-wall/. 1. Spike Lee’s 40 Acres and a Mule Filmworks production company has its eponymous roots in African-American history and slave culture. 2. Off The Wall (CD/DVD). 3. Spike Lee, “Malcolm X.” (40 Acres and a Mule Filmworks, 1992). 4. ———, When The Levees Broke (HBO, 2007). 6. Spike Lee, “They Don’t Care About Us (Brazil Version).” 1996. ———. “They Don’t Care About Us (Prison Version).” 1996. 8. Mass Media and Racism by Stephen Balkaran. 9. Colour-blind casting: how far have we really come? 10. Spike Lee, “Bamboozled.” (40 Acres and a Mule Filmworks, 1992). 11. Spike Lee’s profile at NYU. 12. More about Mark Rothko from The Tate. 13. Margo Jefferson, On Michael Jackson (Pantheon, 2006). 14. Nyong’o, Tavia. “Have You Seen His Childhood? Song, Screen, and the Queer Culture of the Child in Michael Jackson’s Music.” Journal of Popular Music Studies 23, no. 1 (2011): 40-57. 15. 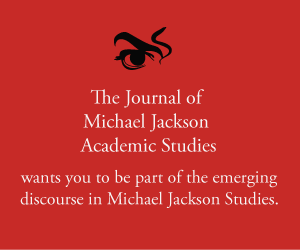 Elizabeth Amisu, “MJ Studies Today III (15-03-16).” The Journal of Michael Jackson Academic Studies (2016). See especially quotes from Aisha Staggers and Kerry Hennigan in the comments. 16. Lanre Bakare’s review for The Guardian. 17. Japanese trio perform a dynamic cover of Jackson’s Smooth Criminal using indigenous instruments. 18. Adrian Grant, Michael Jackson: A Visual Documentary: The Official Tribute Edition (Omnibus, 2009). 19. Dan Harmon’s upcoming film told from the perspective of Bubbles the Chimp. 20. Joseph Fiennes to play Jackson in an upcoming television program. 21. A first pressing vinyl record of Off the Wall.